Benefit from BÉABA’s unique expertise in food preparation spanning more than 20 years. 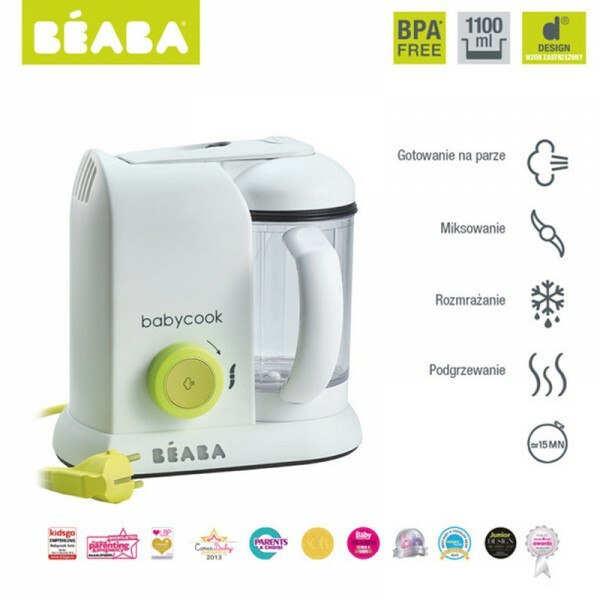 The Babycook, an invention which revolutionised food preparation thanks to its multi-function system:steam cooking, blending, defrosting and reheating.It guarantees healthy and nutritious meals,preserves the vitamins, to give baby the very best when switching to solids. Supplied with a spatula, mixing / smoothie filter lidand recipe booklet.